If you’ve been having a blah day, then this should get your spirits up. We know you guys have been waiting in earnest for the latest updates of your favorite games. So, we decided to bring you the skinny on the hottest games in town. Since it’s impossible to cover each and every game update in one blog, here’s what we know so far about Overwatch, PUBG, and CS:GO. For those who were in the waiting room the free edition of Counter-Strike; GO just recently dropped hard, and it’s free. That’s right folks, Valve has finally released the free version of CS: GO. The newest version of the game will allow players to compete against bots in offline matches or if you’d prefer to watch, enthusiasts can catch matches via GOTV, which is the spectating client of the game. This latest release is being called Counter-Strike: Global Offensive Free Edition, and it is going to give a chance for everyone to get a taste of some good ol’ CS goodness without having to fork the $15 to buy the full version. On the other hand, moochers who do decide to go with this generous freebie, courtesy of Valve will be missing out on some cool features that are SURPRISE! Only available to the paid version. Such as, multiplayer gameplay, in-game inventories, official matchmaking, new features, online contests, and much more. However, the free tier was officially announced as part of a game patch which was to add in tournament items from FACEIT 2018 London CS:GO Major Championship. The new release also tweaked support for the spanking new Panorama US for low-end machines. Initially released in 2012, Counter Strike: GO is the fourth installment of the franchise that has since sold 25 million units worldwide. The FPS is available for Windows, Xbox 360, PS3, MacOS, SteamOS and Linux. After what seemed like forever, the critically acclaimed Battlegrounds by PlayerUnknown has made the transition from an early-access beta to a full-bodied entity housed in the Xbox One. PUBG, which made the battle royale shooter genre famous, had previously made a full release in Windows just last year, while Xbox One users could only access the game in beta mode. Now, it’s the players of the Xbox One’s turn to experience this game in all its awesomeness. The PUBG 1.0 update will come along with new features that were previously only available to PUBG players on PC. Inclusion of the 4×4 compact battleground ‘Sanhok’ is also going to be a nice addition to the game. Sanhok will offer players with new weapons and vehicles along with dynamic weather and environmental changes. The Sanhok map, which was introduced in June for PC players will also be adding in-game currencies for the Xbox One release. Amongst the things that can be bought with in-game currencies is the Event Pass: Sanhok, which can be used to unlock more levels, missions and rewards. Players of Battlegrounds can now expect to play in War Mode and a Team Deathmatch Mode, where teams will have to battle for scores. PUBG 1.0 will be sharing an achievement list to ensure no player loses their progress during the update. As the update 1.0 prepares to go live, Bluehole, the developer of PUBG 1.0 is going to take the game offline for what its calling a marathon 16-hour maintenance period, which is understandable. A full-on release to Xbox One is no joke, and the developers at Bluehole are looking to make sure that the transition is seamless and goes on without any shots being fired. In a recent tweet, the game’s developers asked for all Xbox One players to get their PUBG fix by downloading and logging into the public test servers. In another tweet, the developers of PUBG said that the PTS is a separate PUBG server that’s free to download for anyone who already owns a copy of PUBG. Earlier this year, Fortnite stole PUBG thunder, but making the jump from beta to the Xbox One could help Battlegrounds get back on top of the food chain. 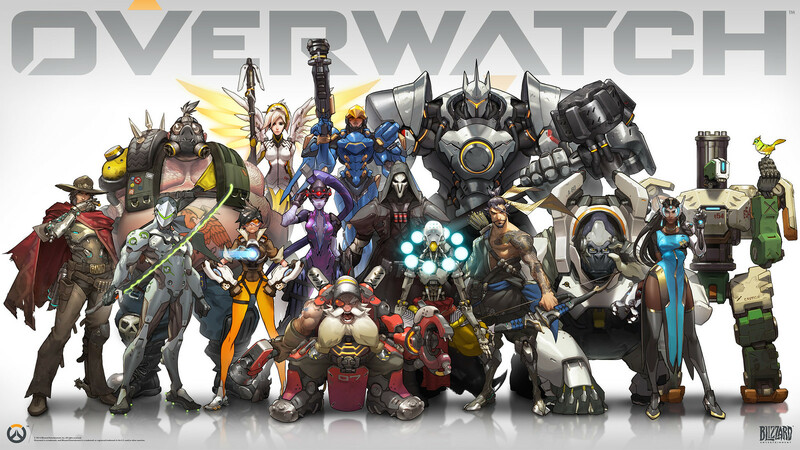 Overwatch is one of those games that were liked for the‘team’ atmosphere. Hit a comment if I’m wrong, but it felt good to get combo ults and a team wipe.While 6 stacking isn’t the greatest idea, it’s better than getting 4 DPS each game. The problem is when you really don’t want to play with someone. Blizzard solved that problem by adding a feature which allowed players to avoid up to two other players as teammates. This was a good way to curb the toxic “must win” attitude. But, it seems to there are more griefers than previously expected. Who knew? To stop others from degrading the player’s experience, Blizzard has now decided that the Avoid feature will be expanded to three players at a time. This means you can avoid any three players for up to one week, unless of course, you manually remove them from the list. Initially, the devs were concerned about the effects the new feature could have on the queue times, but after gathering enough data, decided to make room for one more player in the Avoid list. For those who have just come back from vacation, Overwatch’s competitive season 12 is currently underway, and the game has introduced its newest member, Wrecking Ball to the roster. Players can also use the new ‘Looking For Group’ features to find other like-minded players to team up with to improve their gaming experience. In case you were wondering why we can’t avoid more than three people at a time. It is a welcome addition that will be especially useful for competitive players who keep on encountering difficult players while playing.According to Blizzard the game’s developer that’s because it would mess with the queue times, and we can’t have that now can we! So, there you have it. As promised, these were all the top news stories fit to print from around the gaming world.